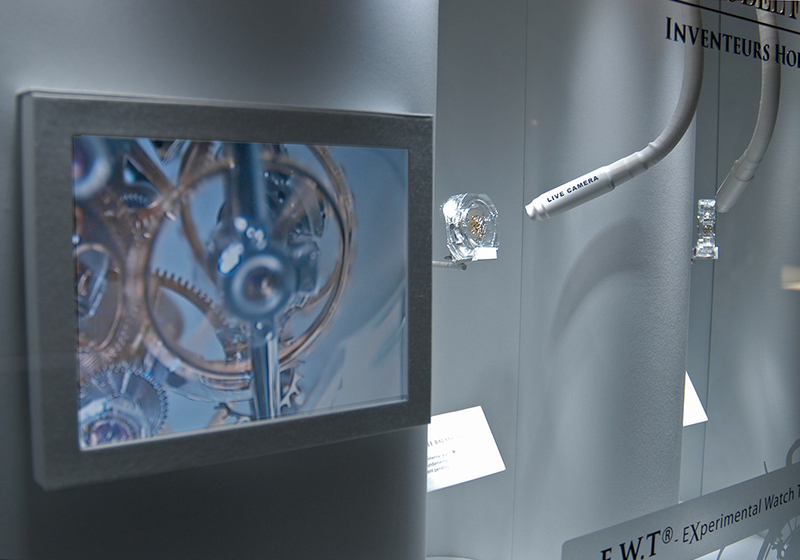 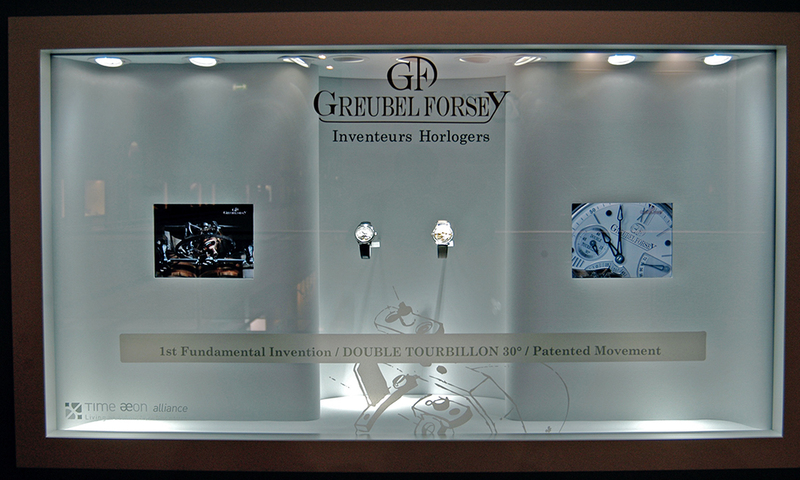 Timeless windows for Greubel Forsey at the SIHH 2018. 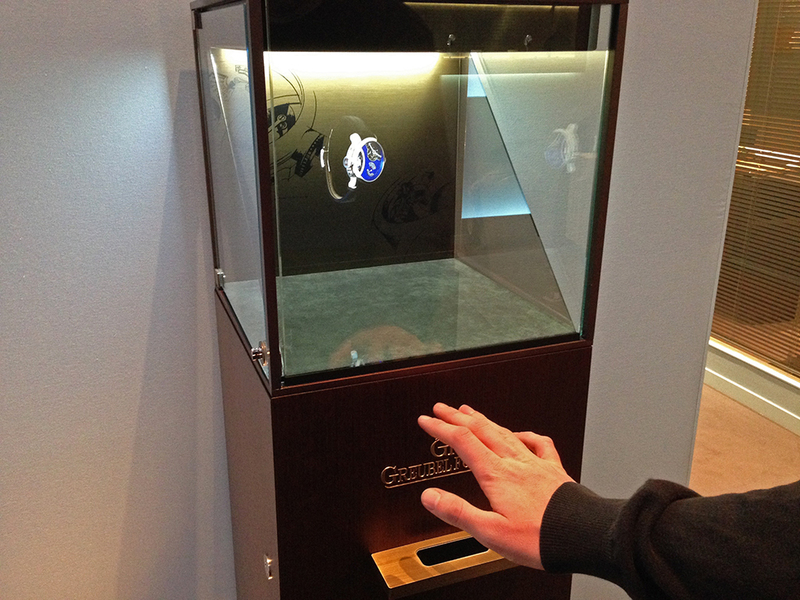 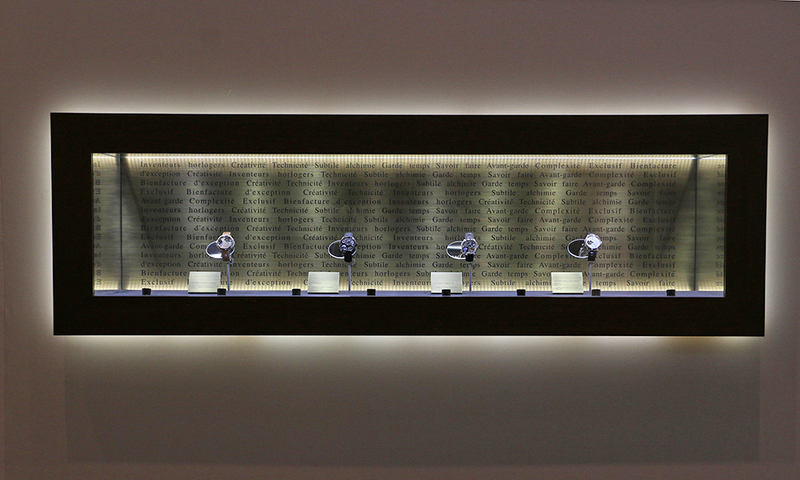 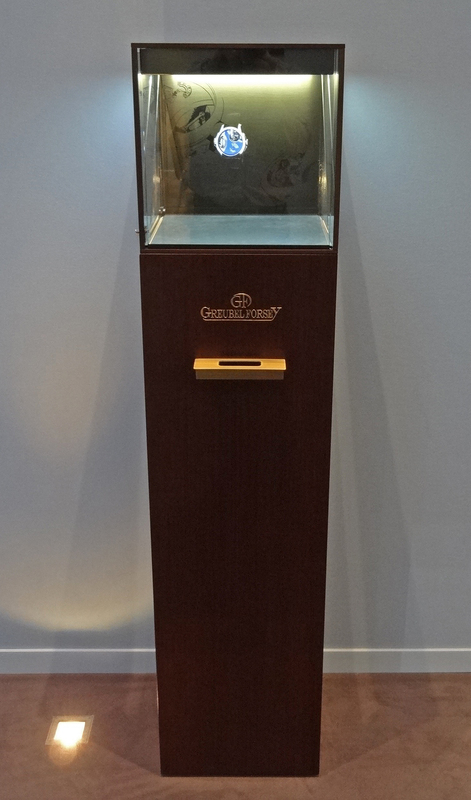 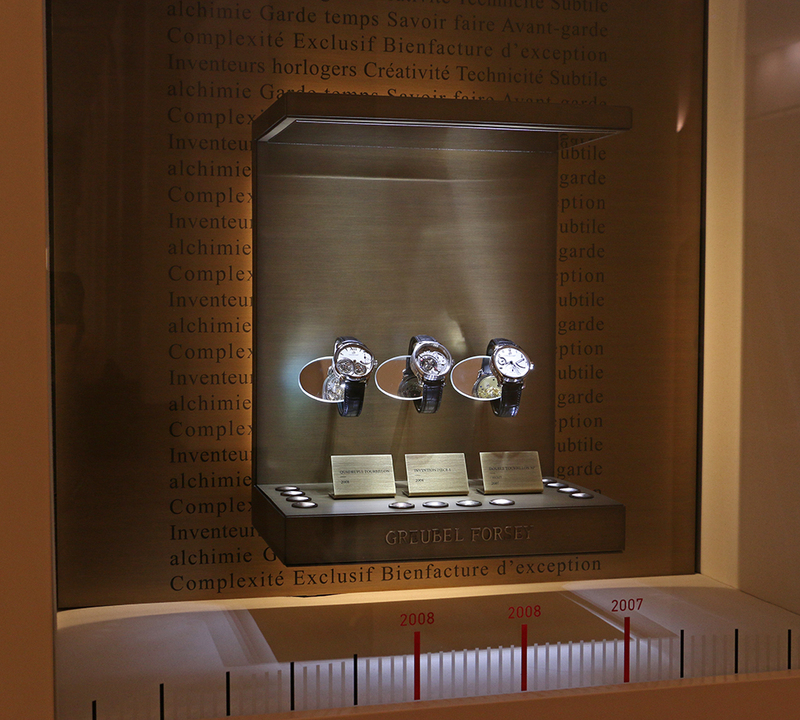 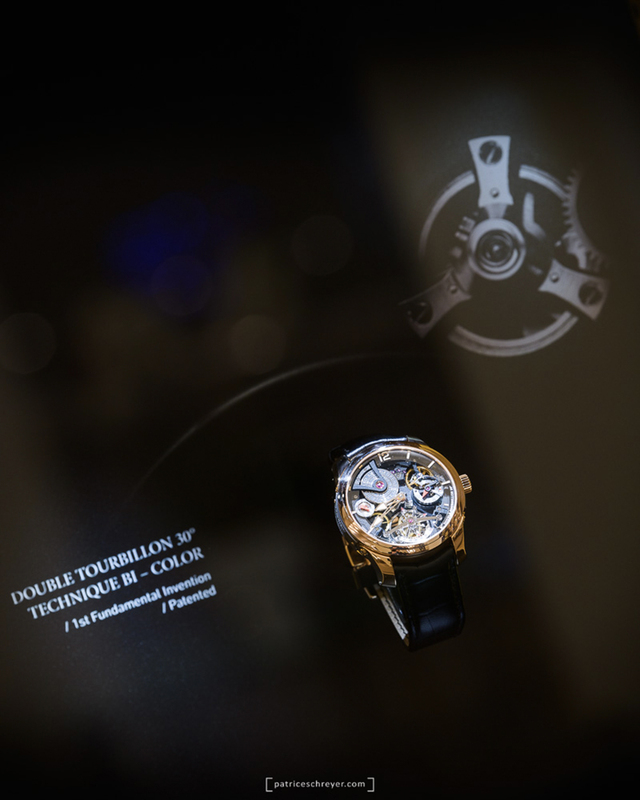 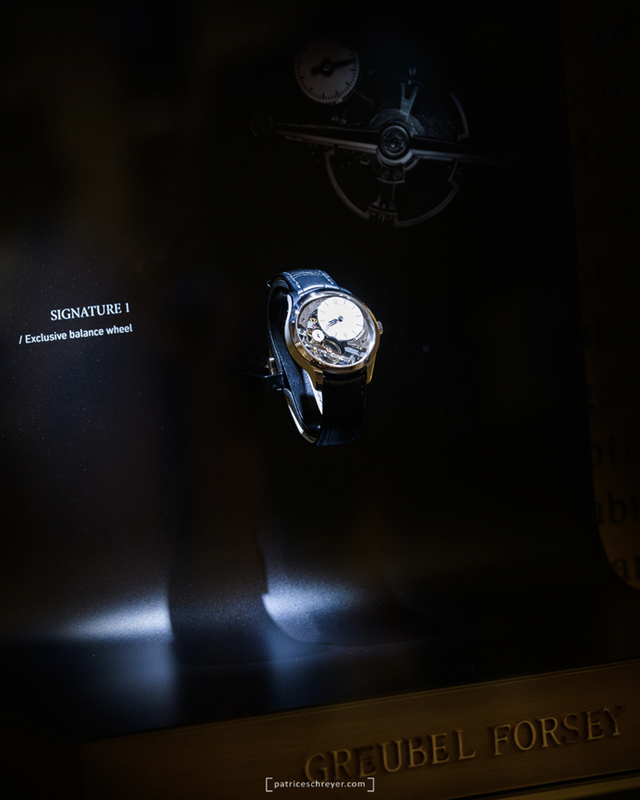 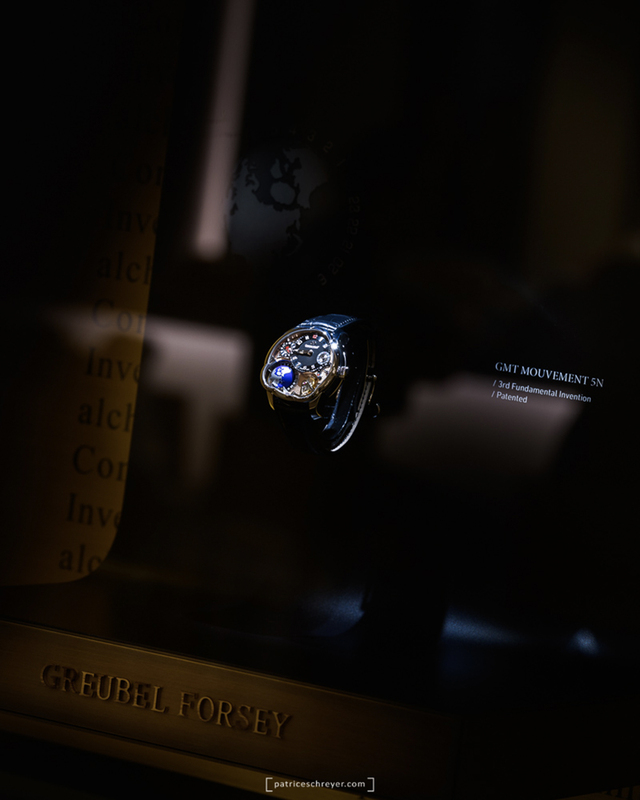 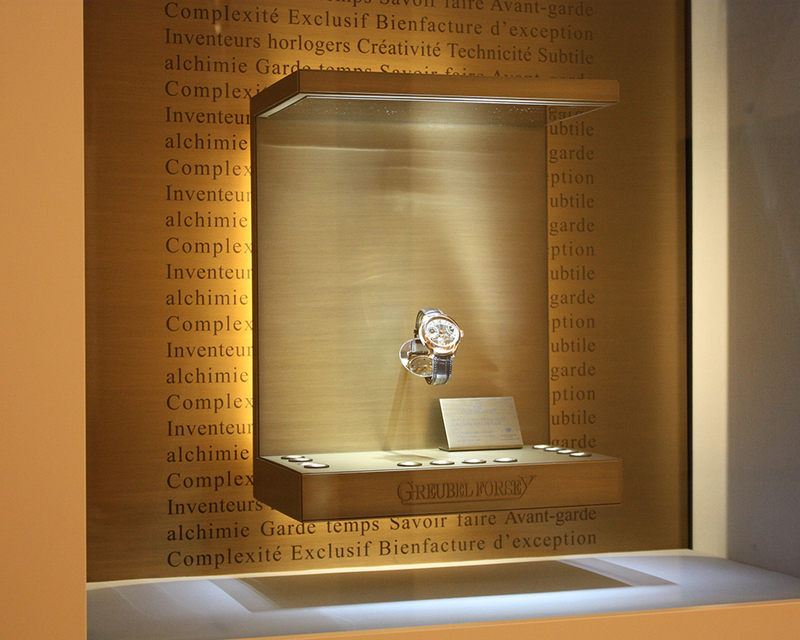 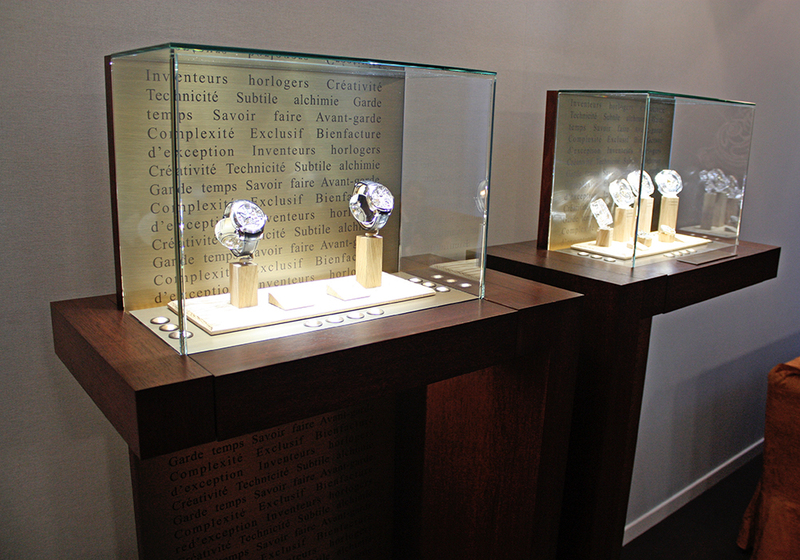 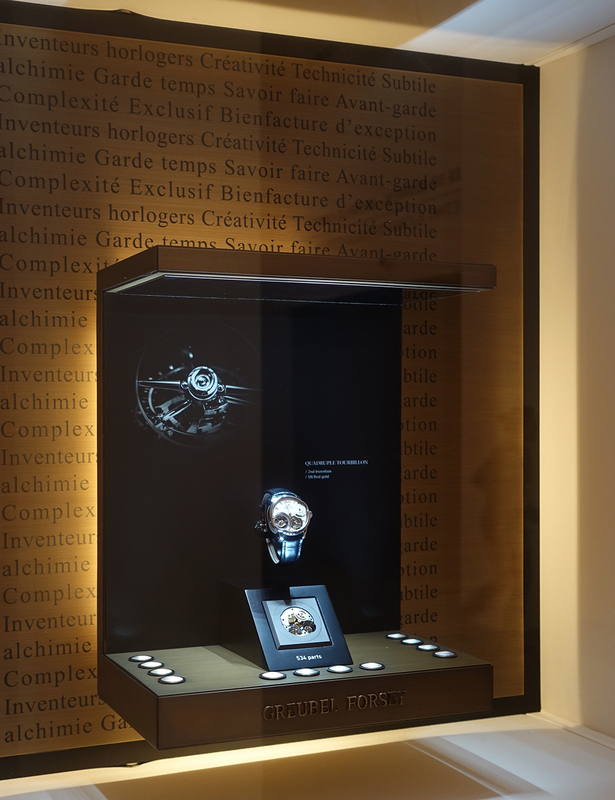 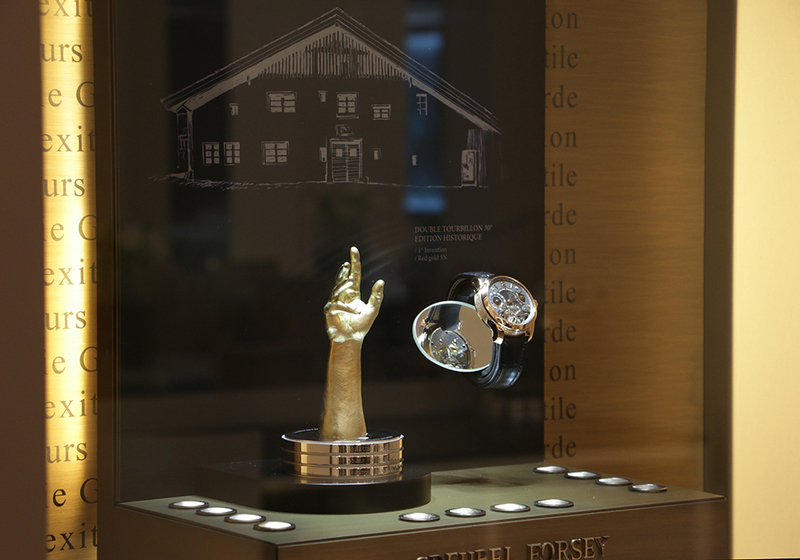 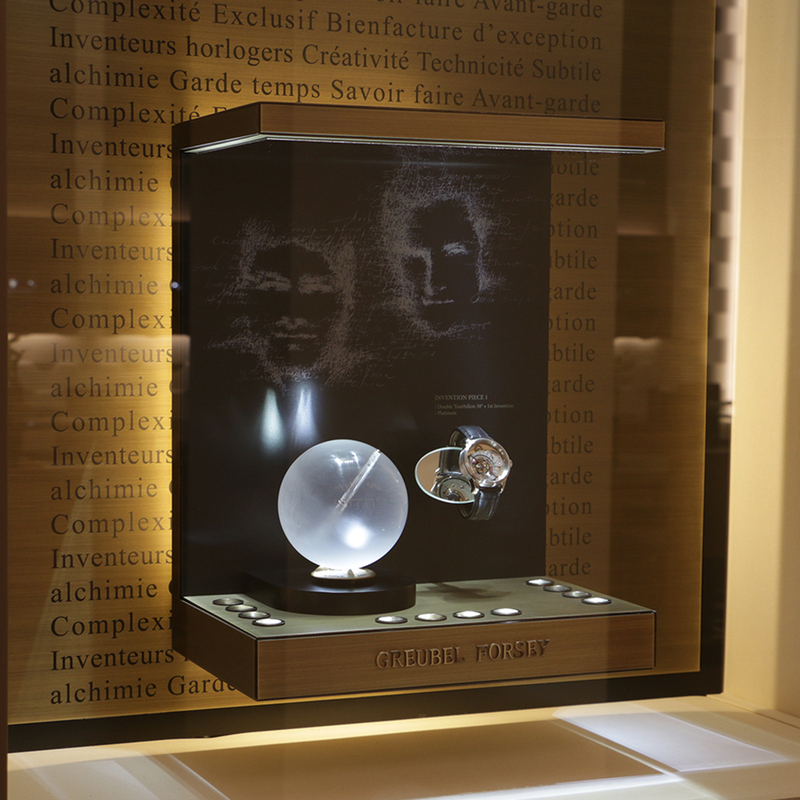 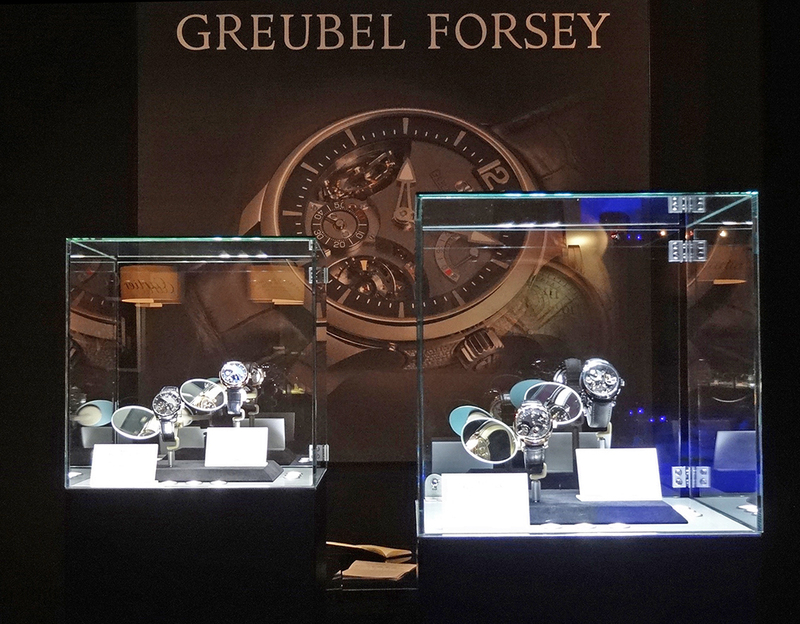 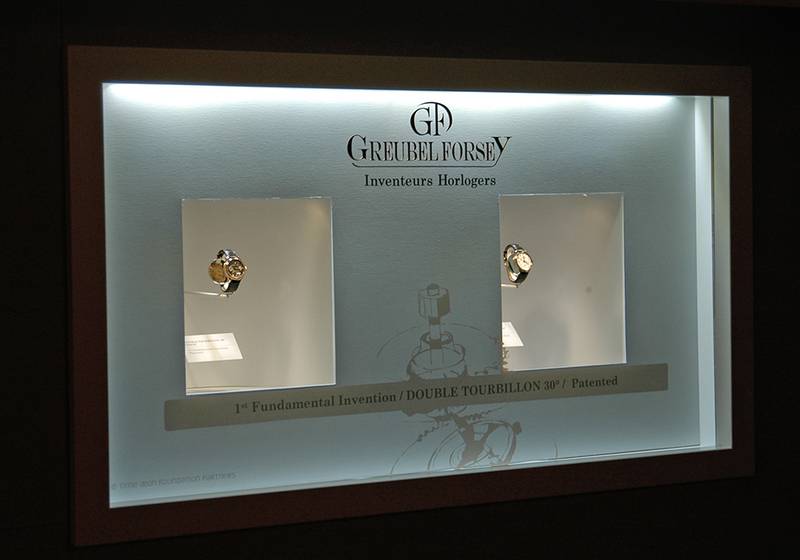 The simplicity of the Greubel Forsey display cases at the SIHH 2018 was emphasized by localized lighting. 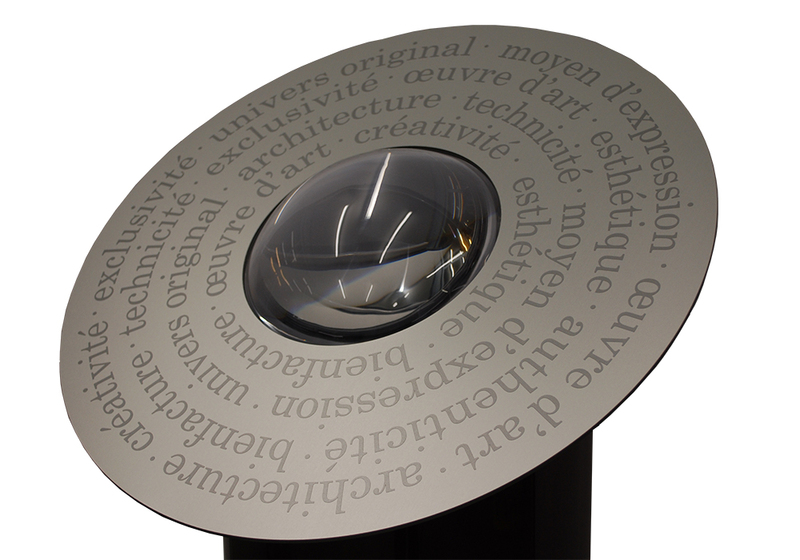 Every detail is highlighted by focal spotlights. 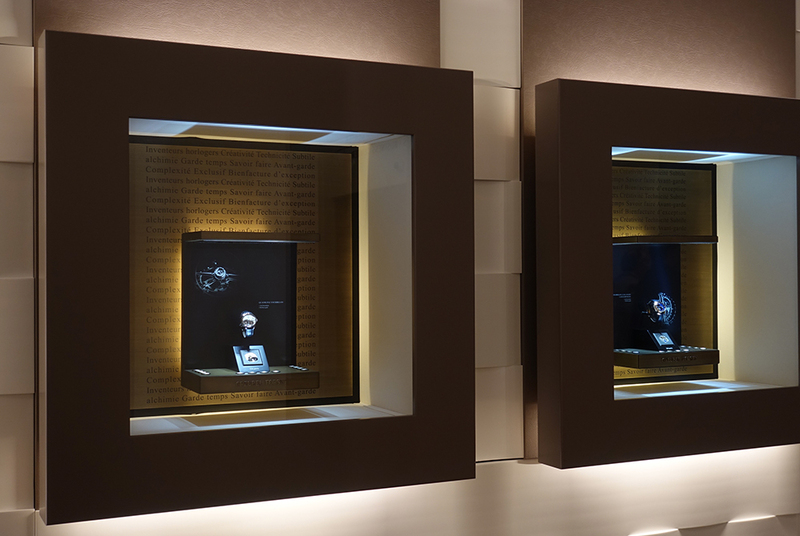 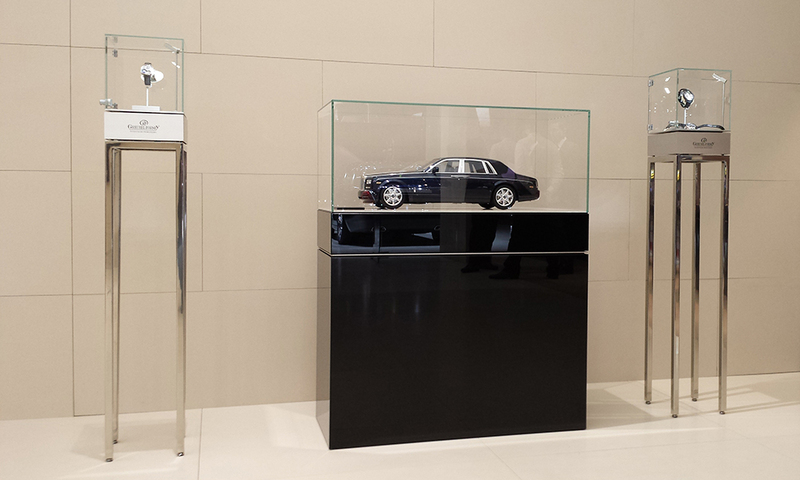 Timeless display cabinets suspended in time. 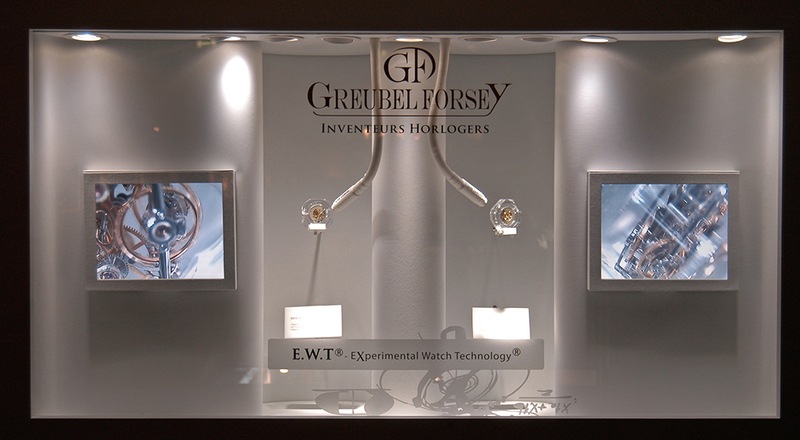 Greubel Forsey stand at SIHH 2016 Timeless display cabinets suspended in time. 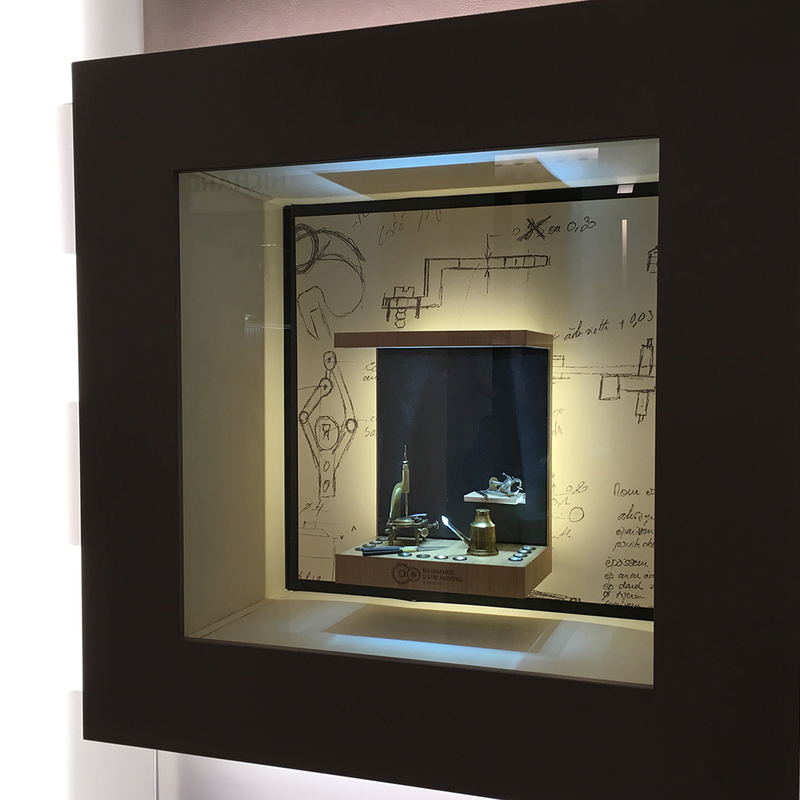 A mixture of aged bronze, slate and oak. 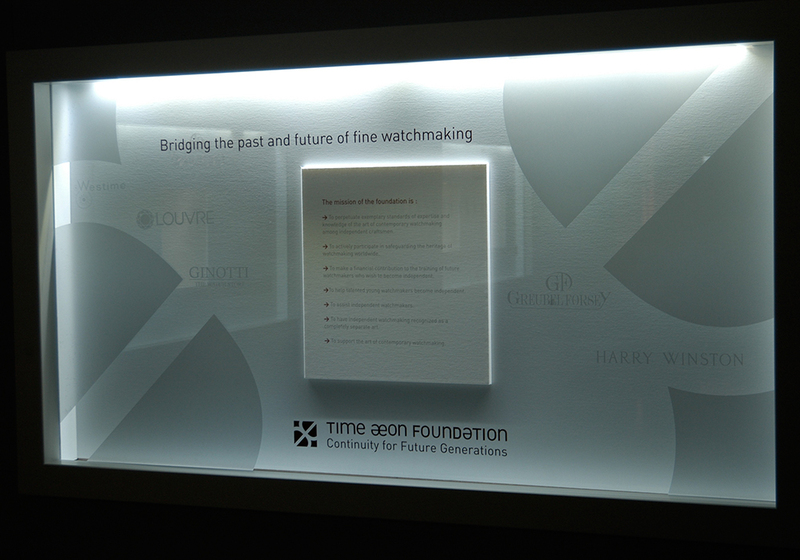 Time does things very well and they will be even more attractive in 10 years’ time. 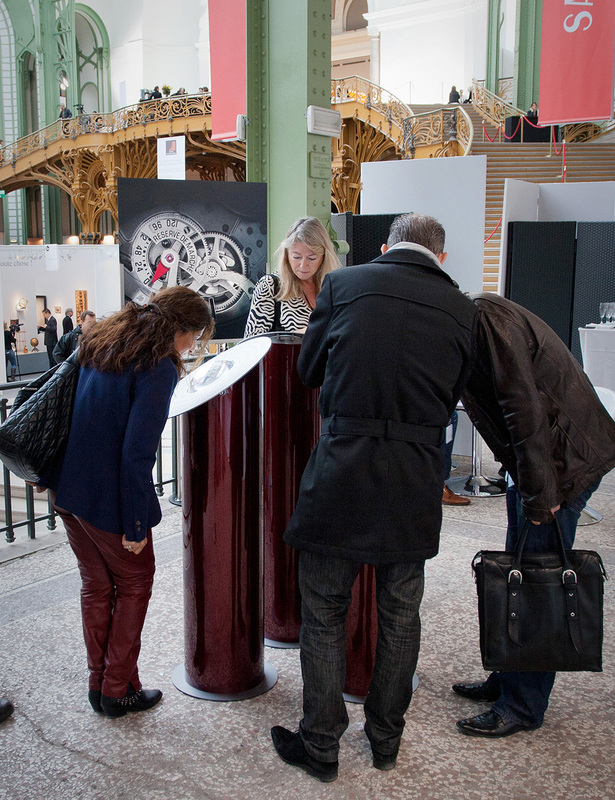 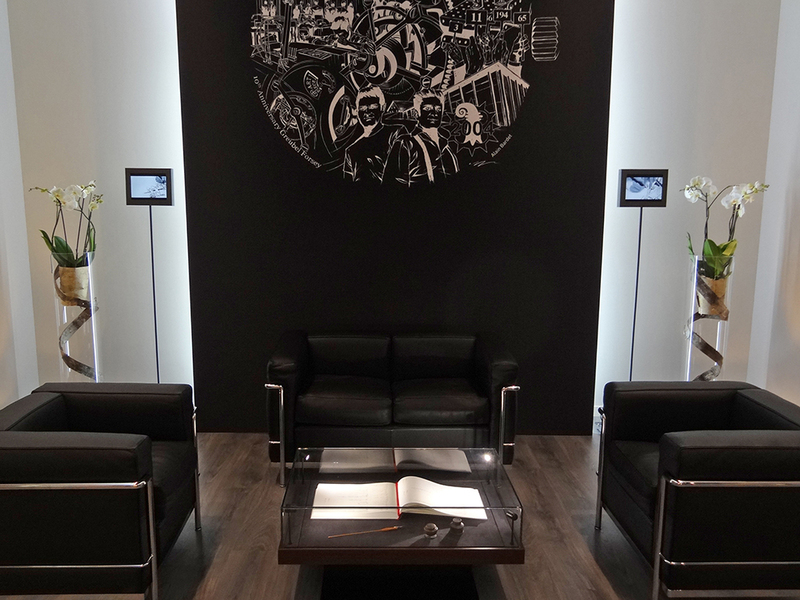 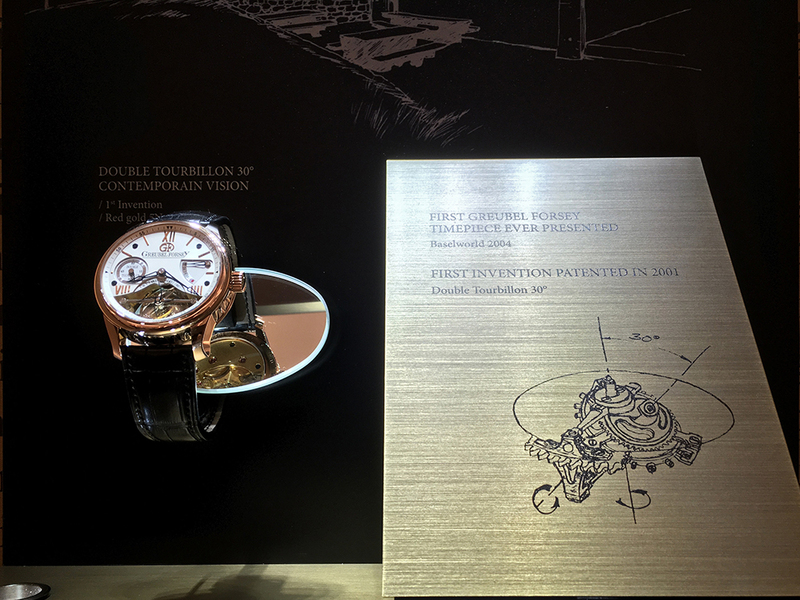 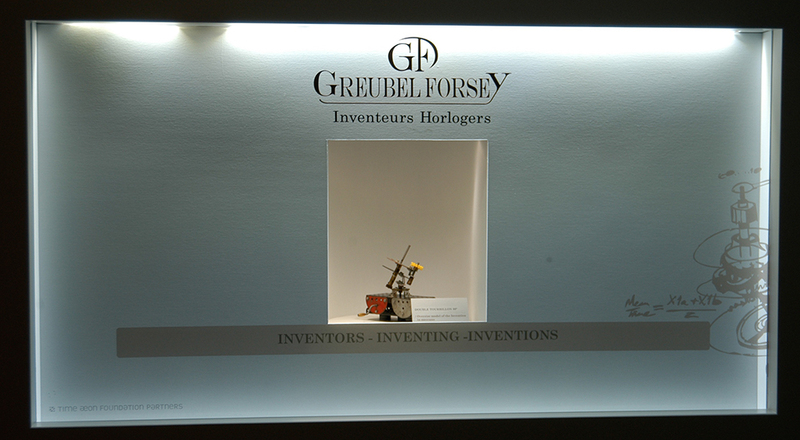 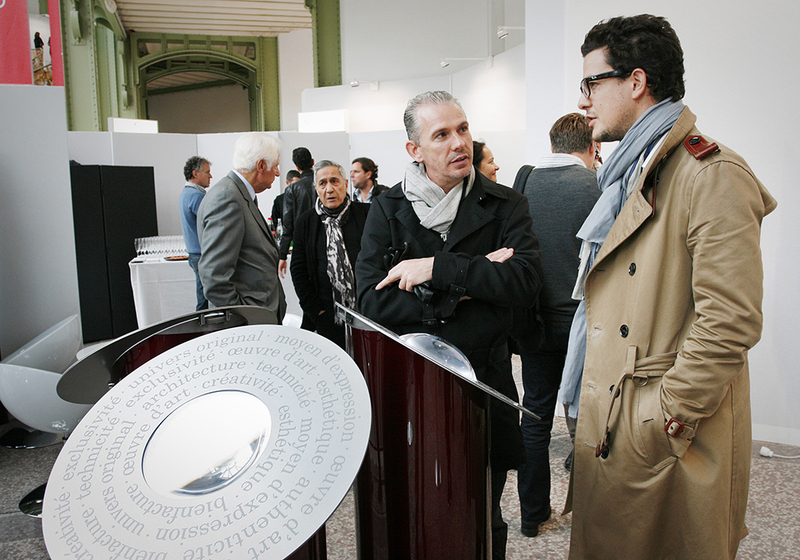 Greubel Forsey at the Foire Internationale d'Art Contemporain in Paris. 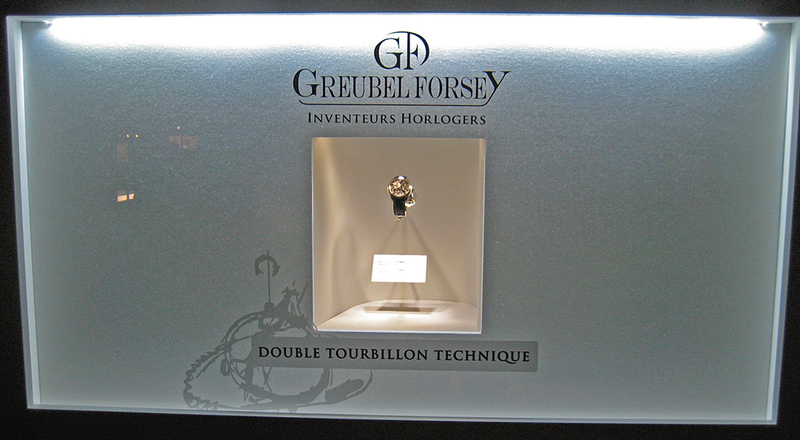 Greubel Forsey à la Foire Internationale d'Art Contemporain de Paris. 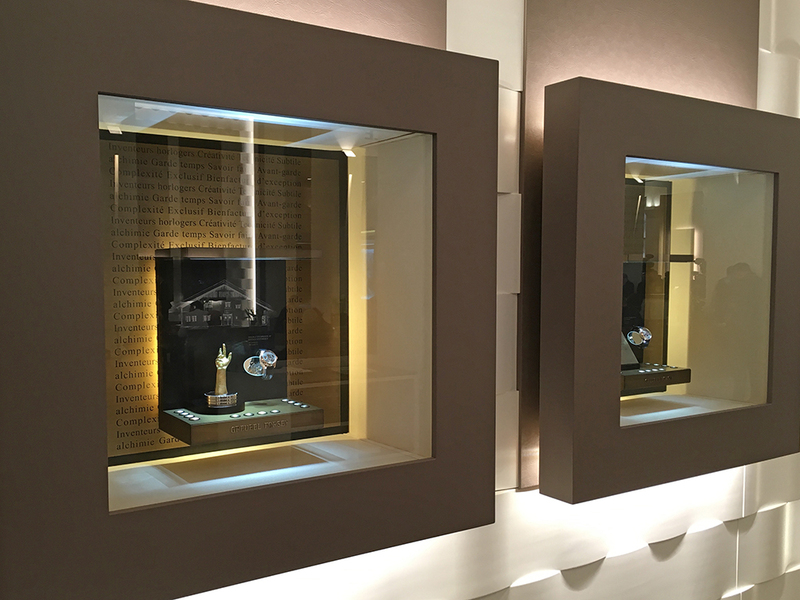 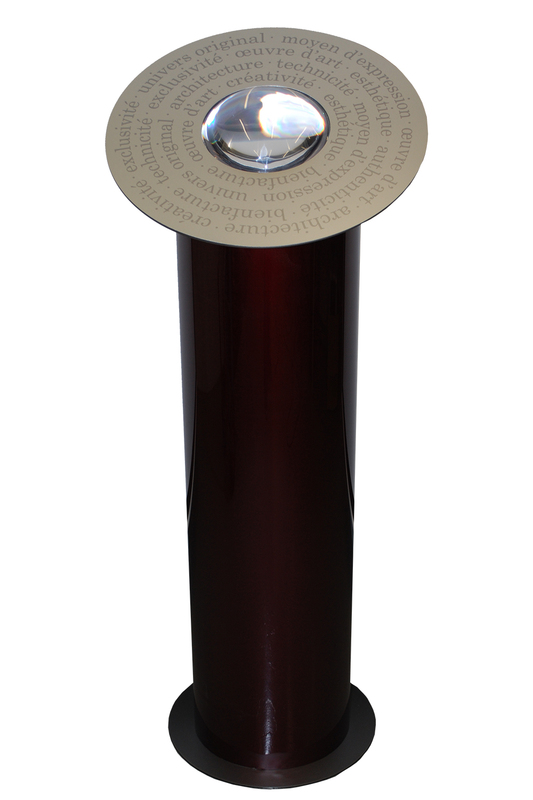 All the products have been registered with and are protected by the Federal Intellectual Property Office (FIPO) and the European Patents Office (EPO).